PALMDALE, Calif., Oct. 30, 2009 -- Northrop Grumman Corporation (NYSE:NOC) has begun producing the center fuselage for the first international F-35 Joint Strike Fighter, an F-35B short take off, vertical landing (STOVL) variant for the United Kingdom designated BK-1. The center fuselage is the core structure around which the F-35 aircraft is built. The assembly process began Oct. 26 at the company's Palmdale Manufacturing Center with the loading of an all-composite air inlet duct into a special tooling structure called a jig. This first assembly process, one of approximately 18 major steps in assembling an F-35 center fuselage, consists of attaching metal frames around the duct. 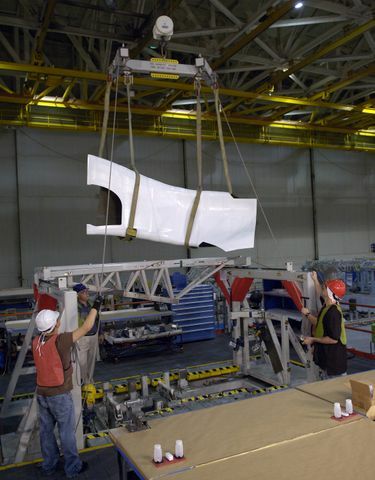 The frames serve to brace and position the duct properly within the center fuselage. "Jig loading the BK-1 center fuselage for the United Kingdom's first F-35 demonstrates that the program is delivering on its promise to produce a fifth generation, multi-role fighter that meets the common air combat requirements of the U.S. and its allies," said Mark Tucker, vice president and F-35 program manager for Northrop Grumman's Aerospace Systems sector. "Through a disciplined approach to managing costs and engineering changes, we're continuing to reduce program risks, which will help the F-35 industry team put jets on the ramp on or before the initial operational need dates of our international partners." 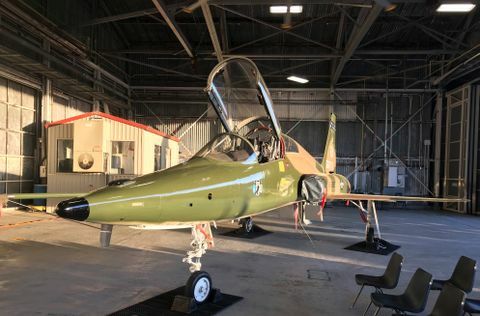 Tucker noted that the company had started assembling the BK-1 center fuselage three days sooner than the date indicated by the F-35 program's master schedule. 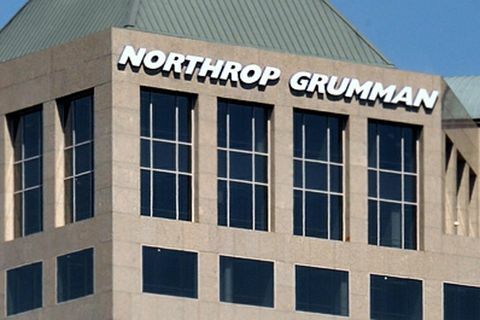 Northrop Grumman is a principal and founding member of the F-35 industry team led by Lockheed Martin. 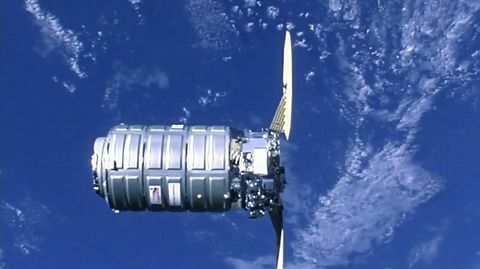 To date, the company has delivered 25 center fuselages -- 19 for the system development and demonstration phase, six for the low rate initial production (LRIP) phases of the program. BK-1 is being produced as part of LRIP3. The program is scheduled to produce 138 F-35Bs for the United Kingdom. Final assembly of all F-35 jets is performed by Lockheed Martin at a facility in Fort Worth, Texas. The process includes mating a Northrop Grumman-built center fuselage to an aft fuselage produced by BAE Systems, and the forward fuselage/cockpit and wings produced by Lockheed Martin. Northrop Grumman is responsible for the design and production of center fuselages for all three variants of F-35 aircraft: conventional takeoff and landing; short takeoff, vertical landing; and the carrier variant. The F-35 Lightning II program expects to build more than 3,100 aircraft. As a member of the F-35 global industry team, Northrop Grumman is central to the development, production and support of the F-35 Lightning II. The company designed and produces the aircraft's center fuselage, radar and other key avionics including electro-optical and communications subsystems; develops mission systems and mission-planning software; leads the team's development of pilot and maintenance training system courseware; and manages the team's use, support and maintenance of low-observable technologies.